With most of us getting caught up in all the Easter commotion, it’s easy to forget that a very important historical day takes place in April too. 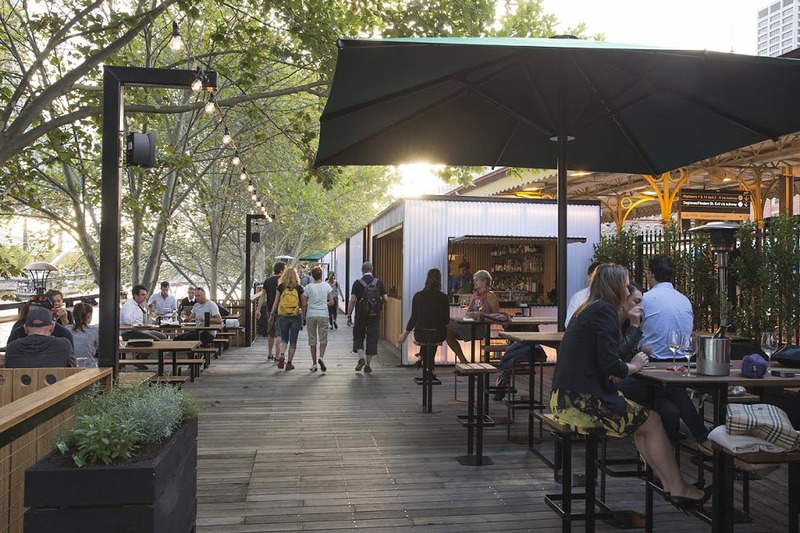 This Thursday the 25th of April is Anzac Day, and to celebrate the national day of remembrance one of Melbourne’s most treasured waterside venues is opening its doors early to serve modern breakfast fare by the Yarra. 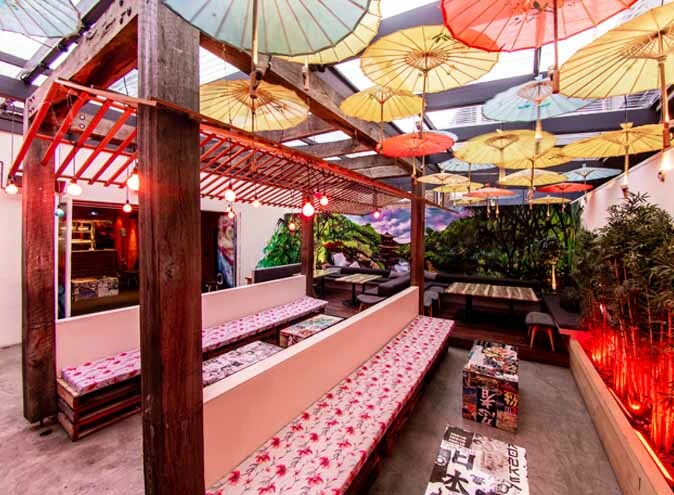 That’s right we’re talking about Arbory Bar & Eatery and its temporary extension venue Arbory Afloat. Whether you’re an early riser marching from the Shrine of Remembrance or you’re fueling up before the big game at the MCG, both Arbory and Arbory Afloat will be open from 7am and have just a few special menu items to get excited about. 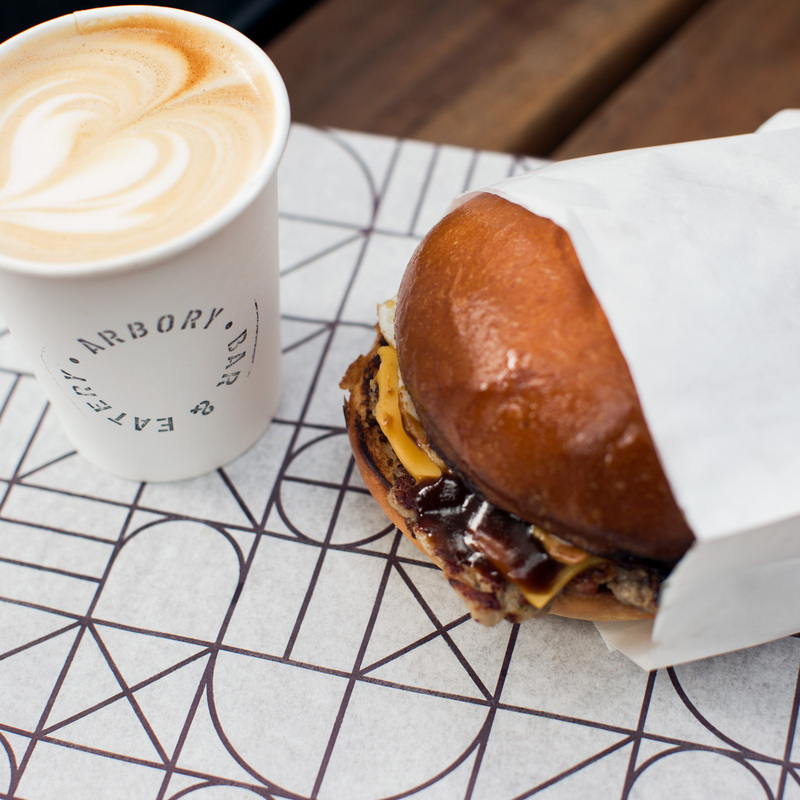 Not one but two tasty breakfast burgers are being dished up on the deck at Arbory. The first is vego friendly; an oozy cheese-stuffed mushroom, fried egg, fresh pesto and kale. The second hero is their breakfast terrine and is accompanied with a fried egg and tangy relish. And if burgers are suitable for breakfast then so is pizza right? 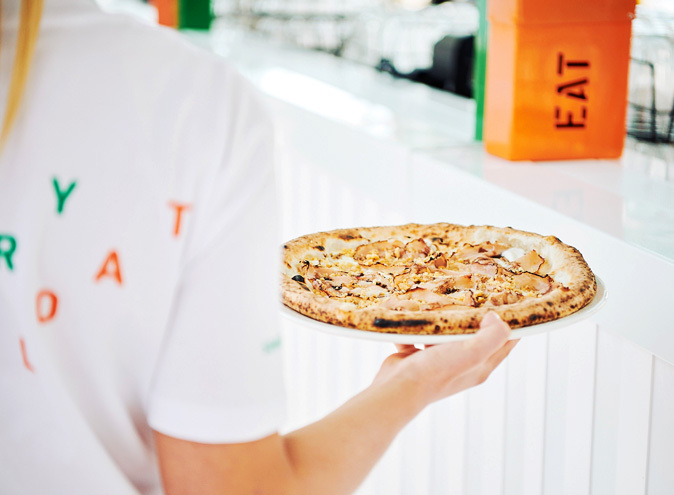 Well Arbory Afloat think so and have created two breakfast pizzas which we’re not complaining about. The Mattutina with San Marzano, Provolone cheese, egg and porchetta has all your classic breaky flavours while the Fungiara with Buffalo mozzarella, mushrooms, Pecorino and shaved Grana Padano is a cheese lover’s dream. But you wouldn’t be treating yourself if you didn’t try both, and why not it is your day off after all. 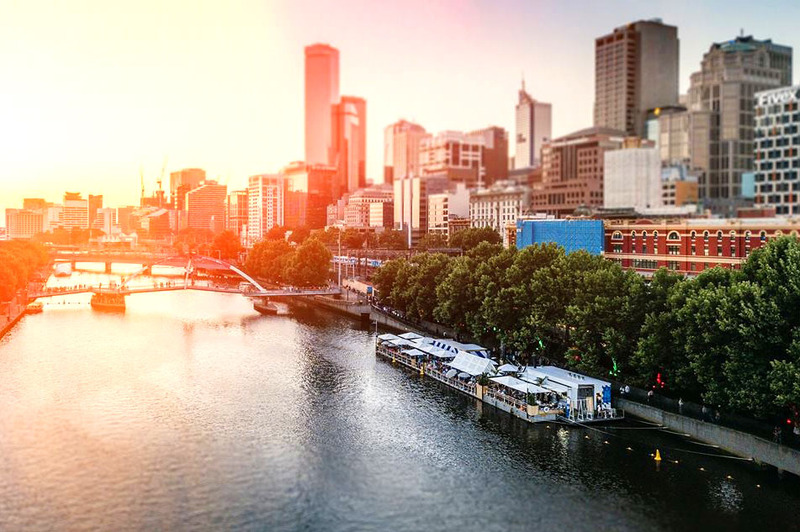 It’s sure to be chilly by the Yarra but Arbory and Arbory Afloat have prepared the perfect beverage to help you warm up during those early hours of the morning. 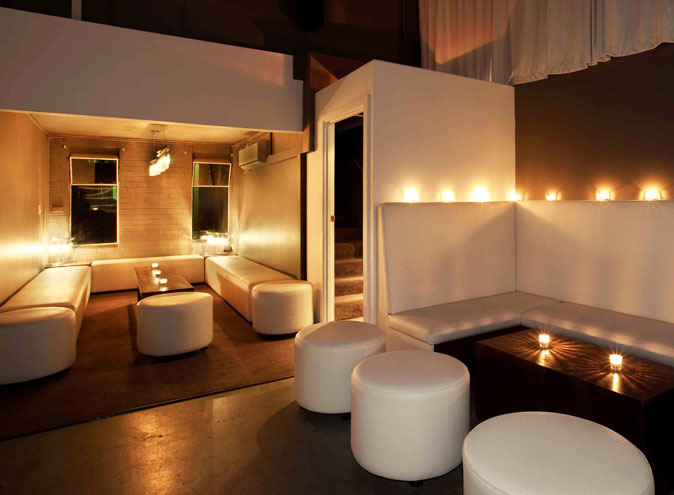 Steaming hot mugs of ‘Gunfire Breakfast’ – a punchy black coffee and rum infusion—will be served up on the day. 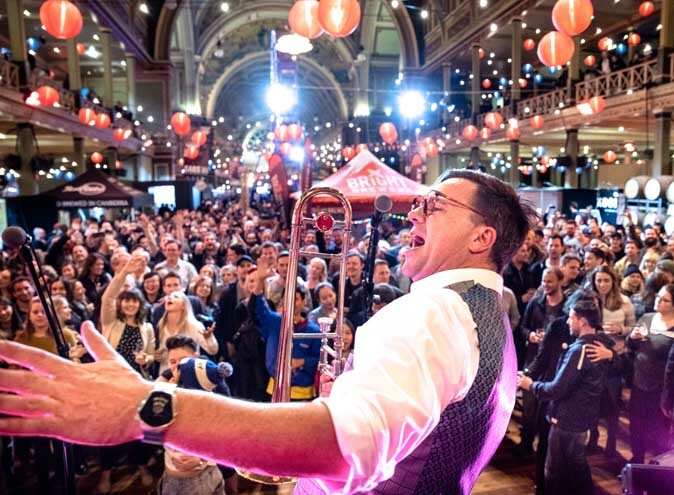 Arbory and Afloat are kindly offering all past and present diggers, servicemen and women who have represented Australia and New Zealand a complimentary breakfast meal from the menu too. 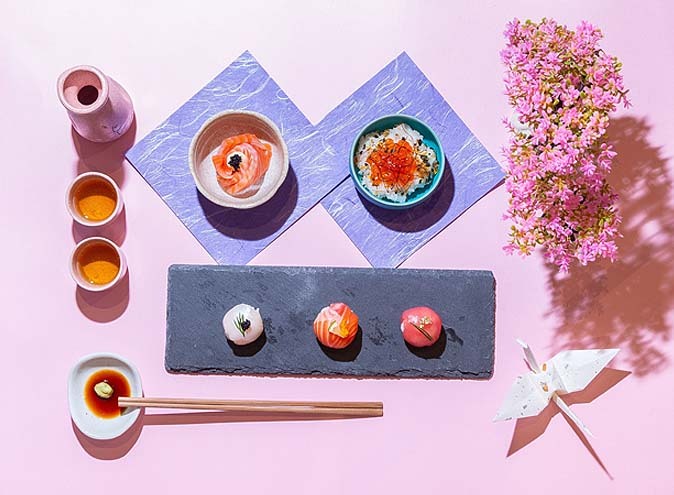 With Arbory Afloat soon to set sail for this season, make the most of the public holiday by jumping on deck and going out with a bang with Melbourne’s longest floating restaurant. 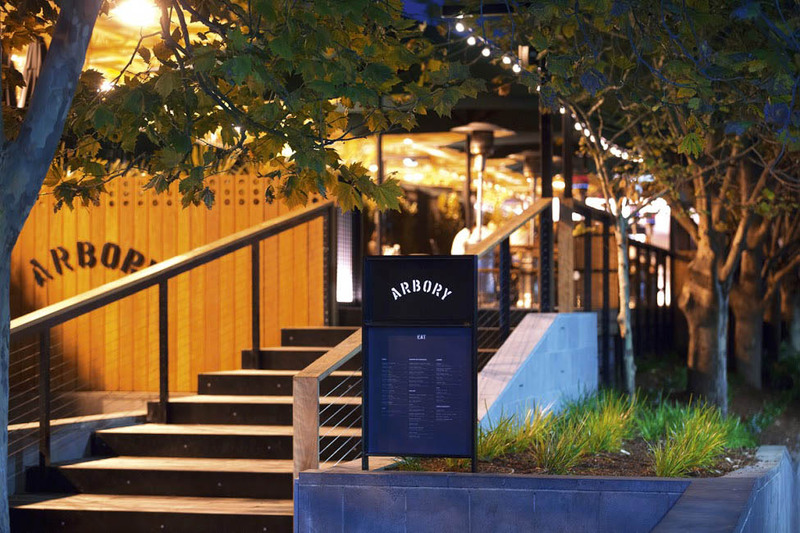 To book a table at Arbory, head here.